in the mountains of Italy in 1943-44. This book explores a largely undervalued and forgotten part of a costly and complex struggle. We directly experience what it was like to be there through the words of those who were. In late 1943 1st HCR was sent to Syria to patrol the Turko-Syrian border, it being feared that Turkey would join the Axis powers. In April 1944, 1st HCR was shipped to Italy. The Italian campaign was at that time well underway. 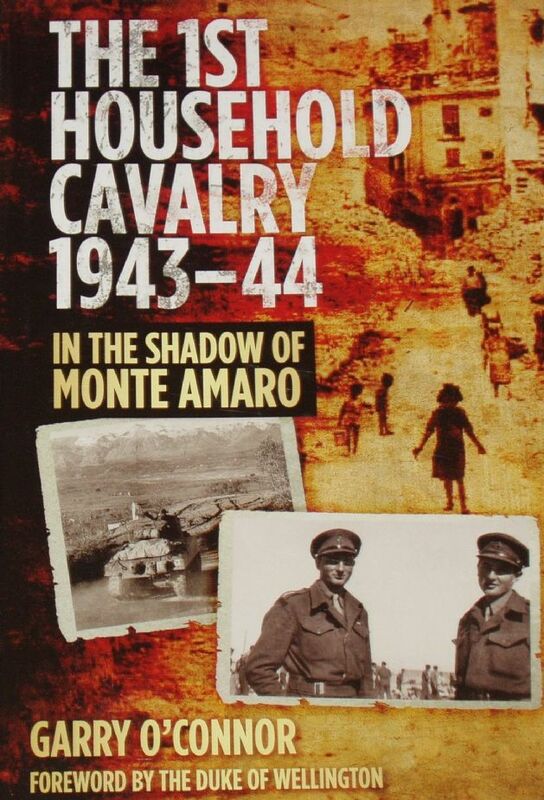 During the summer of 1944, 1st HCR were in action near Lanciano and in the advance to Rome in a reconnaissance role, probing enemy positions, patrolling constantly. The Regiment finally took part in dismounted actions in the Gothic Line - the German defensive system in Northern Italy. Based upon interviews with the few survivors still with us and several unpublished diaries, there are many revelations that will entertain - and some that will shock. The 1st Household Cavalry 1943-44 is published on the 70th anniversary of the actions described, as a tribute to the fighting force made up from the two most senior regiments of the British Army and, in the words of His Grace the Duke of Wellington who has kindly provided the foreword, 'to gain insight into why such a war should never be fought again'.